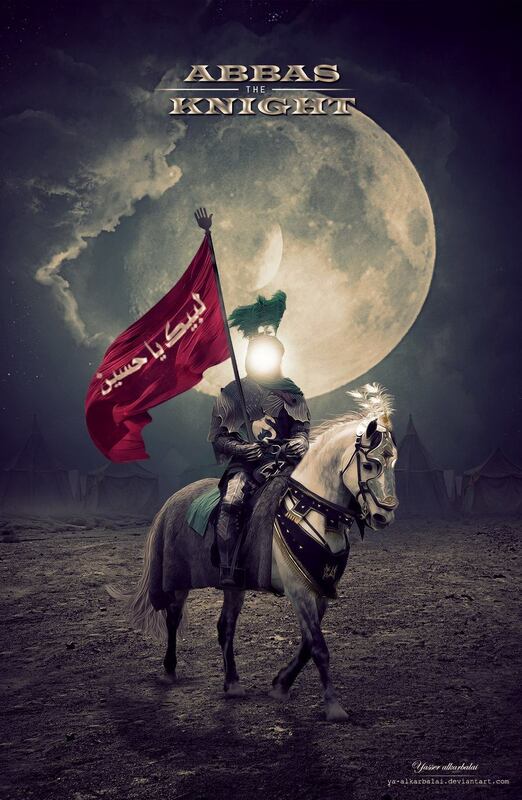 If you want to see a man of determination then look to Abu Fadhl Abbas ع. When he went to get the water for Imam Hussain ع and the children, who did not drink for 3 days, he was faced with many difficulties. He had his right hand cut, so he carried the water with his left hand, he had his left hand cut, then he carried the water bag with his teeth until he was struck in the eye with an arrow that knocked him down from his horse. He never gave up, but instead gave everything he had in the way of serving his master Imam Hussain ع. As salamu alayka yaa qamar bani hashim!